The Piedmont Tsunamis finished the summer swim season with impact on Saturday 7/29, delivering their best result ever as a PWSL Blue Division contender. The final tally positioned the Tsunamis squarely in second place for the day, and the season – coming in a mere 75.5 points behind the rival Sudley Seahorses, and an impressive 243.5 points ahead of the Braemar Blasters (3972.50 v 3897 v 3653.50). The morning was marked with fierce, back-and-forth competition in what was, by all counts, a polar opposite of the blazing hot swim conditions seen in the prior week’s matchup. Threatening thunderstorms and double-digital average temperature drops combined for surprisingly effective pool conditions at the Sudley-hosted event – with all three squads shattering several team, and league records. Tsunami Nation cheers on the relay teams as the Blue Divisional matchup comes down to the wire. 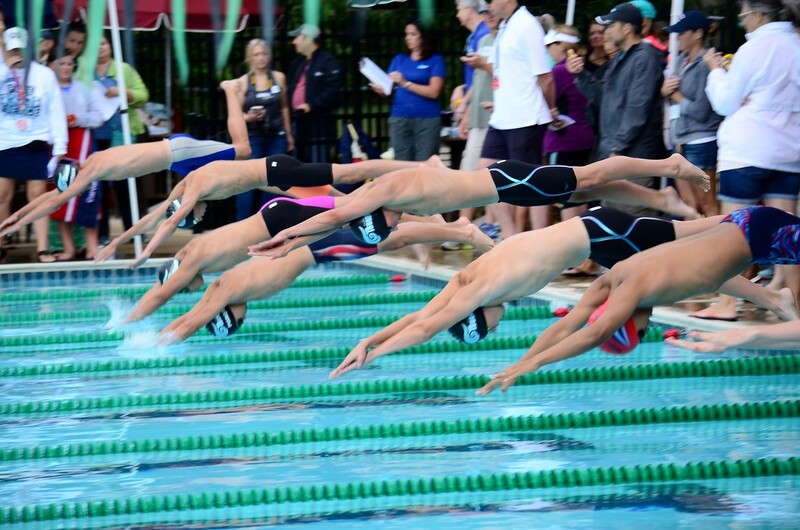 The Tsunamis were competitive throughout the contest, gaining and yielding the lead several times against Sudley as the meet marched deep into individual races. But, ultimately, the late breast and fly events, coupled with the team freestyle relays, would be the final deciding factor as the matchup drew to a close. Big wins dramatically kept the margin tight, and came from several Piedmont swimmers throughout the competition. Blue ribbon Tsunami performances were had by Christian Mulroe, Alyssa Sagle, Charlotte Hannam, Preston Borden, Nikia Campbell, Alex Diatchenko, Katherine Diatchenko, Camille Spink, Jack Poleto, Christopher DeVito, Emma Hannam, and Matthew Pianoto. 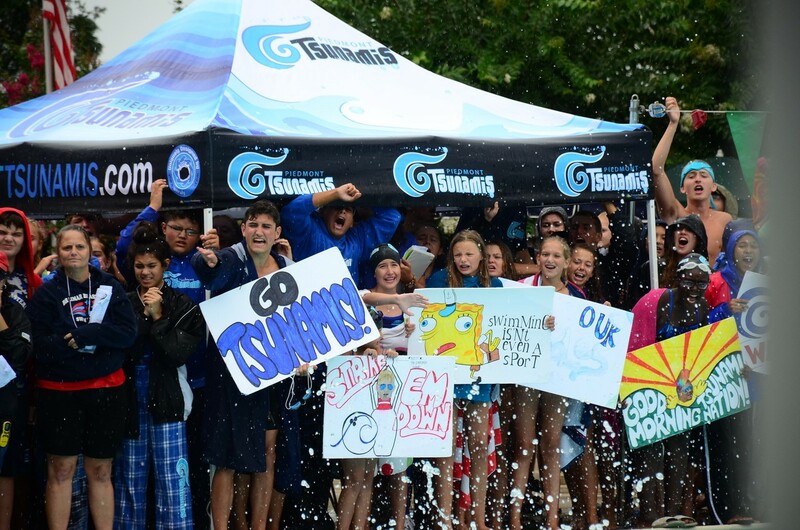 The Tsunamis also closed the year with a season-high frenzy around team records for a meet – conquering 11 of their all-time best marks. On the relay record front, the Girls 13-14 200 Medley squad of Jessica Lee, Amber Parsons, Katherine Diatchenko, and Natalie Fahey took down a six year old best time, and shaved almost two full seconds from prior, coming in at 2:16.67. The 15-18, 200 Free Relay Girls of Nikia Campbell, Morgan Furlong, Torii Waisanen and Anna Dzouenko claimed the blue ribbon, and a new 1:54.24 Tsunami record as well. Shortly after, Furlong, Campbell and Dzouenko were joined by Becca Mayo to take down the 200 Medley Relay at 2:10.37. On the boy’s side of the combined swims, the fastest collective race of the day was found in the 15-18 Freestyle Relay competition – where all three squads broke team records (with a league record suffering as well). Here, the Piedmont band of Henry Radzikowski, Evan Brandt, Tyler Michael and Sebbie Borden took the bar down from their mark of just two weeks prior, to come in at 1:42.68. Additionally, the best effort of the Boys 13-14, 200 Medley fell to Emmett Hannam, Matthew Pianoto, Jack Poleto and Preston Borden as they notched a 2:02.57 swim to take first in the race overall. In mixed swim events, the Tsunami 8 & Under up-and-comers of Alyssa Sagle, Gannon Maxwell, Brielle Appiatse and Christian Mulroe broke the record time from the divisionals that took place exactly one year ago by fielding a 1:23.37 mark – a full second to the better. On the individual record front, Camille Spink cracked her own Girls 11-12, 50 Free mark set earlier in July by delivering a 28.23 time. Spink followed an hour later by snagging her third PWSL League Record of the season at 32.74 in the 50 Back. 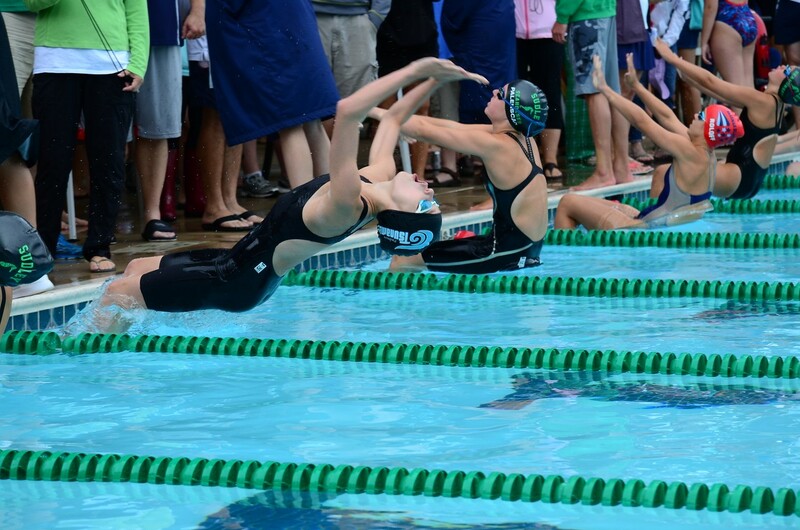 Camille Spink is fast off the wall as she swims to break the PWSL League Record for Girls 11-12 Backstroke. Also for the Tsunami girls, Charlotte Hannam toppled her prior team-best time in the 10 & Under 100 IM with an impressive 1:23.97. For the Boys, Christian Mulroe improved upon the 8 & Under, 25 Free standard with a 17.24 – a mark that edged the two-year-old previous performance by .01 seconds. Finally, Matthew Pianoto grabbed his second record on the day by bettering the 13-14 Breast to 33.77, a slot he previously held with an effort from two weeks ago. Behind the amazing leadership of Head Coach Jay Thorpe and his staff, the Piedmont Tsunamis leave the 2017 summer campaign with renewed momentum, enthusiasm and excitement as they climb by one positional ranking to finish 2nd overall in the league for the first time. We will see the Tsunami wave rise once again, next June, as they hope to continue their methodical march towards the top position in PWSL swim. 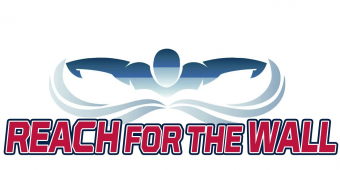 The Tsunami family sincerely thanks our PWSL swim competitors, families, coaches, officials, sponsors, and meet support members for another outstanding summer of swim.